Tunisia is only the size of England, but it offers a surprising variety as a travel destination. Travelers to Tunisia say what stands out are its fascinating history, the Mediterranean Sea, the captivating Sahara desert, and the authentic culture. 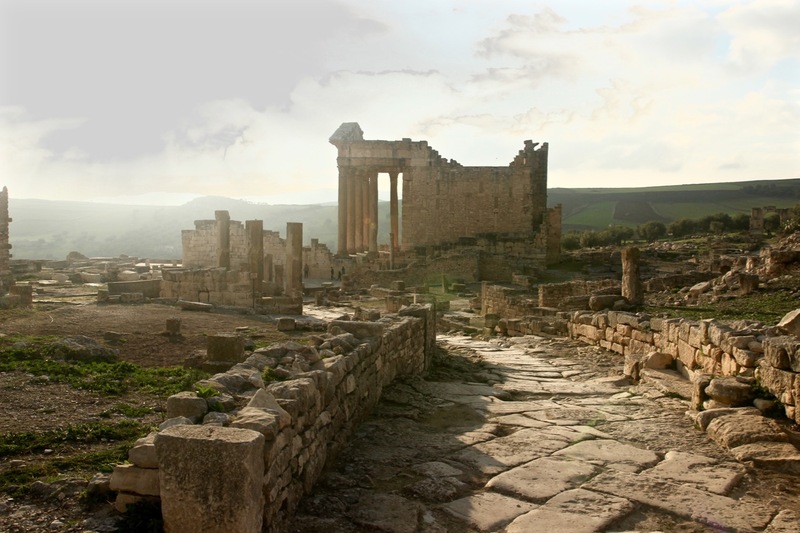 Tunisia has a fascinating history that started with the founding of mighty Carthage nearly 3,000 years ago. Other major civilizations that have shaped its history include the Roman, Arab, and Ottoman empires. 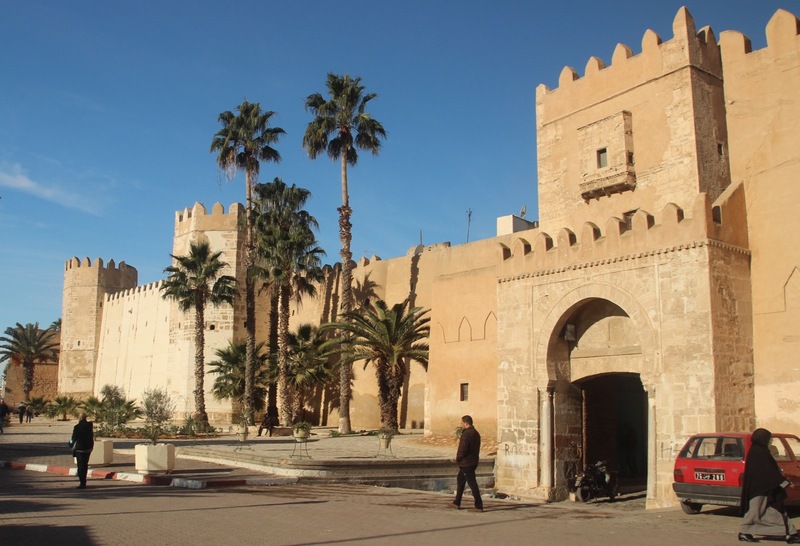 You can get a surprisingly complete overview of Tunisia’s past through visiting the historical sites from each era. 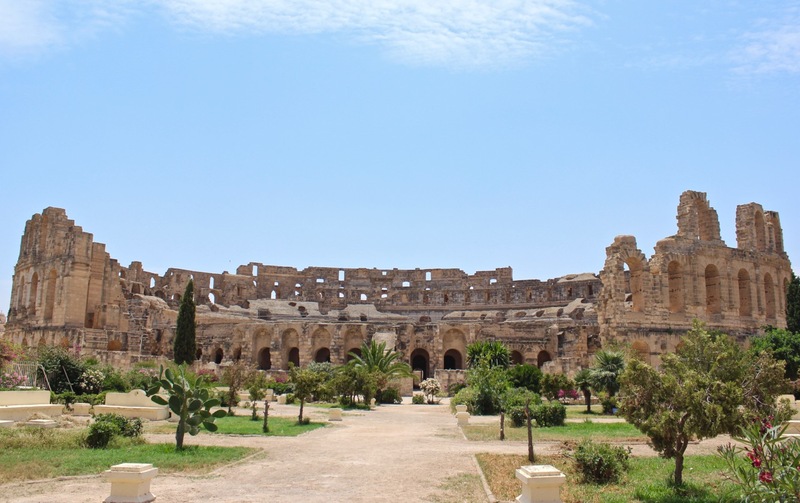 The Roman ruins are the most impressive – the Colisseum in El Jem gives a sense of the splendor that Rome brought to North Africa, and the remains of Dougga give a unique insight into what life was like in a typical Roman North African town. There are also interesting ruins from the mighty Carthaginian empire, and the Arab and Ottoman periods. With so much history, it might sound hard to include much else on a tour. But thanks to Tunisia’s relatively small size you’ll still have plenty of time to catch some waves in the Mediterranean and explore the Sahara. 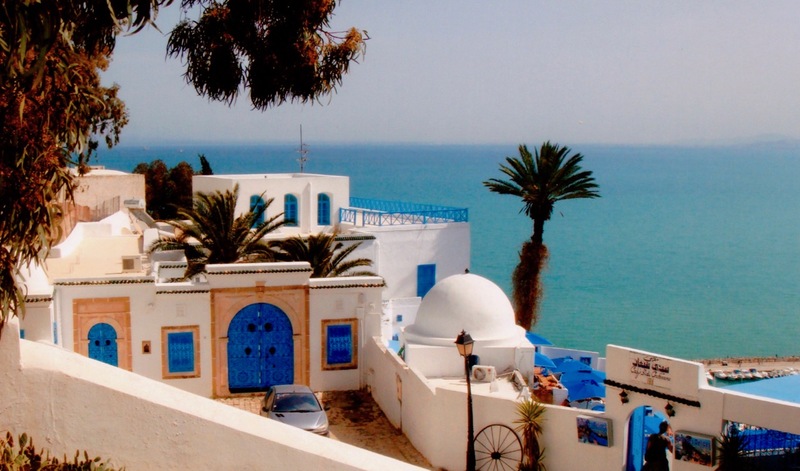 In Tunisia you can experience the Mediterranean’s blue waters and miles of sandy beaches along with all the exotic sites and flavors of North Africa. And thanks to Tunisia’s 1,150 kilometer coastline you’re never far from the sea. 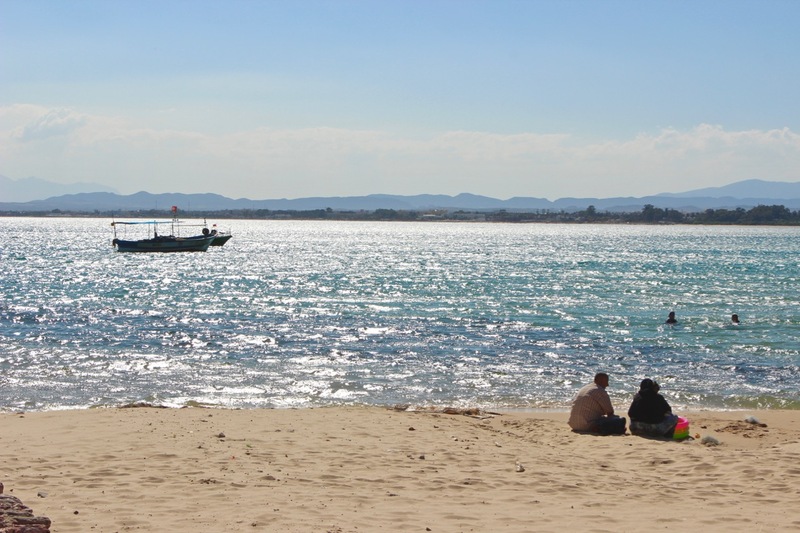 The most accessible resorts are in Hammamet and Sousse. 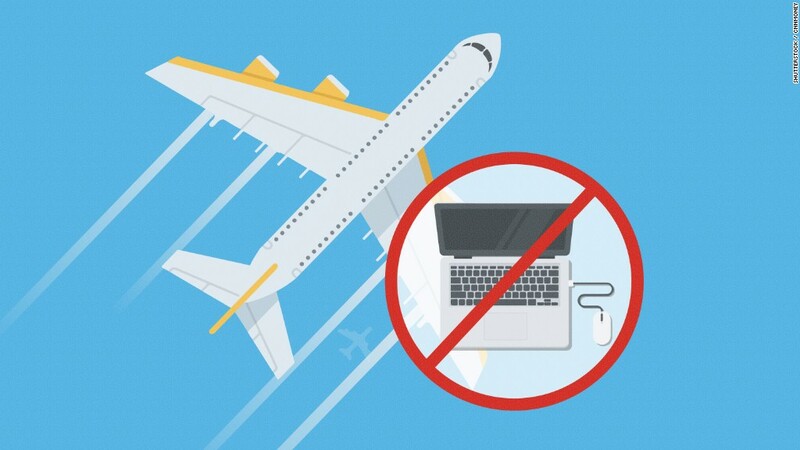 They offer all the traveler amenities at very reasonable prices. 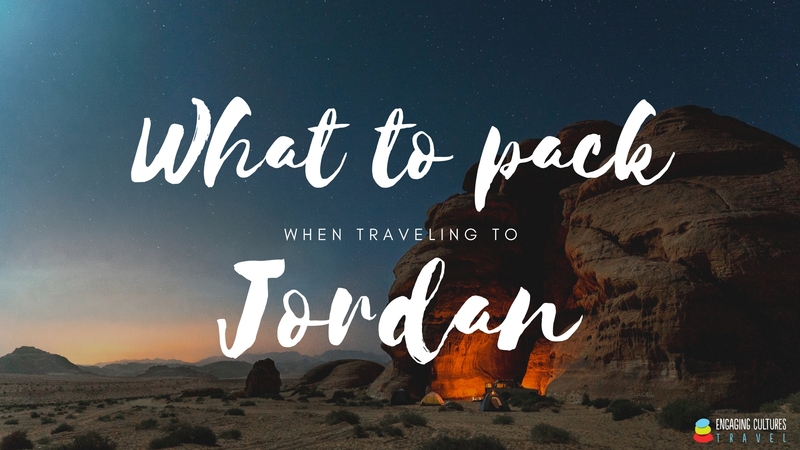 They’re great places to hang out near the Mediterranean for a couple days – or a couple weeks! There are also wonderful beaches off the beaten path. Visiting them is a great way to experience the Mediterranean landscape of Tunisia. Olive trees are as prevalent as palm trees, and typical Mediterranean plants such as rosemary, thyme, and lavendar grow wild. If you enjoy nature walks, there are good paths near many of these beaches. 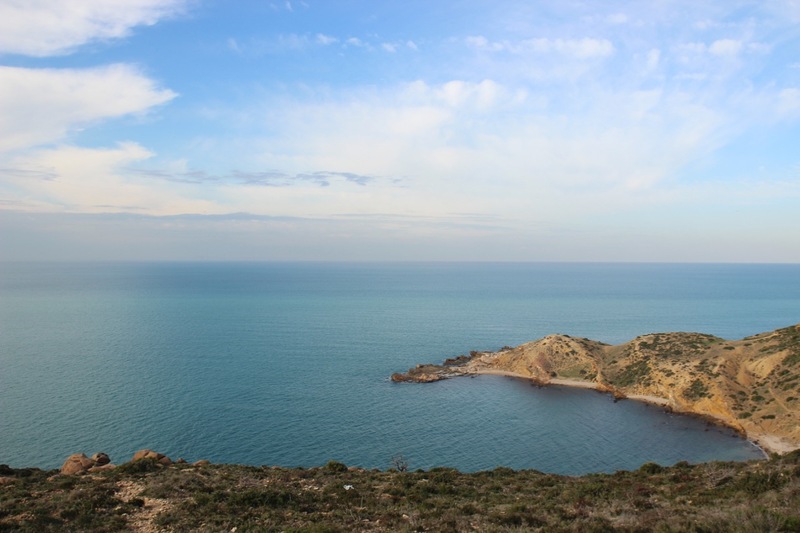 Some of my favorite areas that offer a great combination of nature and sea are Ghar el-Melh, el-Haouria, and Korbous. Whether you spend time at a resort or choose to get off the beaten path, the colors of the Mediterranean sea and landscape will stand out in your memory after your travels in Tunisia. In Tunisia you can chill out on the beach in the morning, and then travel to the Sahara desert to relax on a sand dune to watch an awe-inspiring sunset. 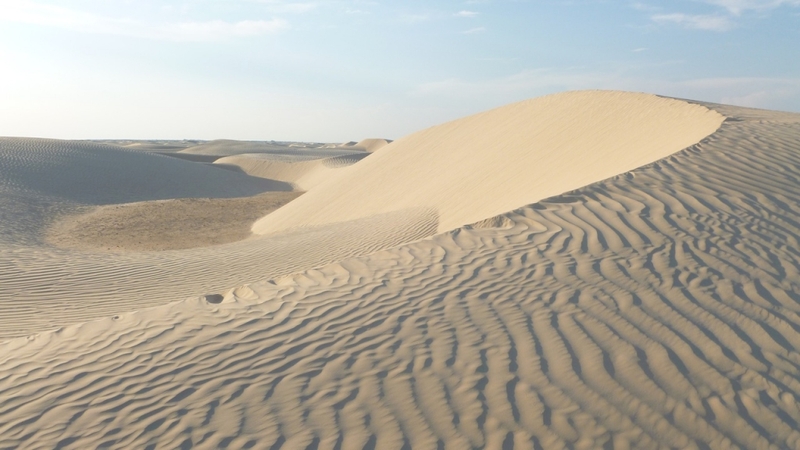 The beauty of the golden sunsets over the desert, the vastness of the sand dunes, and the serenity of the palm oases all make a visit to the Sahara desert an unforgettable experience. 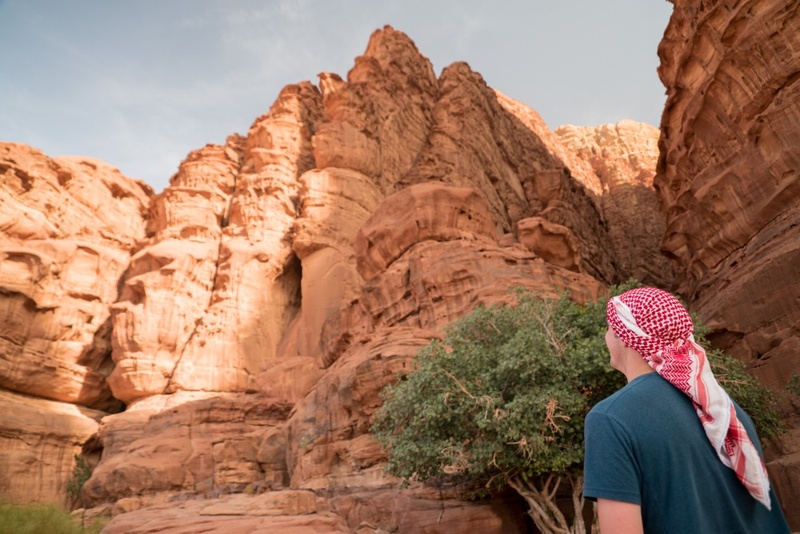 Many travelers say the Sahara is a highlight of their tour because it’s so different than anything else they’ve experienced in their travels. One of the most popular ways to experience the Sahara is to ride on camelback from a location such as Douz to a desert camp. There’s something about spending the night in the desert that makes the vastness, beauty, and silence of the Sahara more real than passing through in a bus ever could. In addition to the amazing sites, Tunisia has a rich culture to offer travelers looking for authentic experiences. The culture has been shaped by a blend of civilizations over thousands of years. 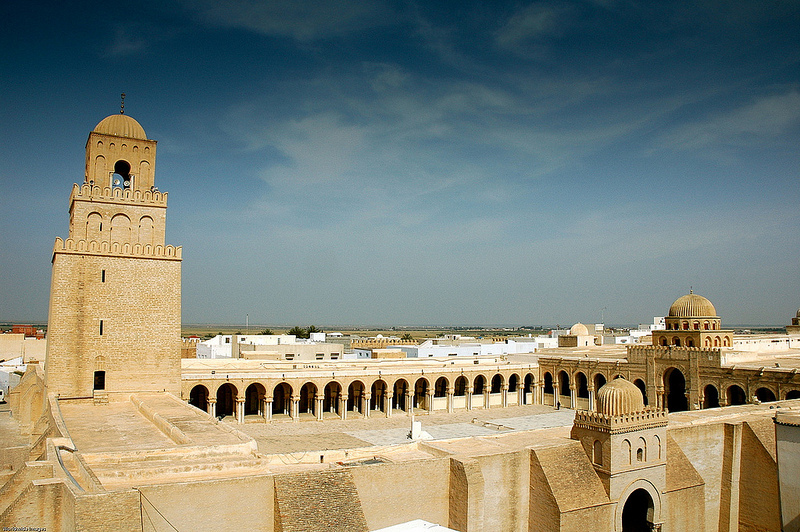 Most Tunisians value their cultural heritage and are eager to introduce it to visitors. Taking a stroll through a medina is a great way to experience the richness of Tunisian culture. The medinas are the walled cities where most of the city’s residents lived and worked for hundreds of years. Today many Tunisians go to the medina to do their shopping in the markets, where sellers advertize their products by calling out to shoppers who pass by. They might also meet friends at a café for mint tea, or eat lunch at one of the hole-in-the-wall restaurants that serve traditional Tunisian food. The medinas are near the city centers, so you can easily plan a visit to one into your itinerary. 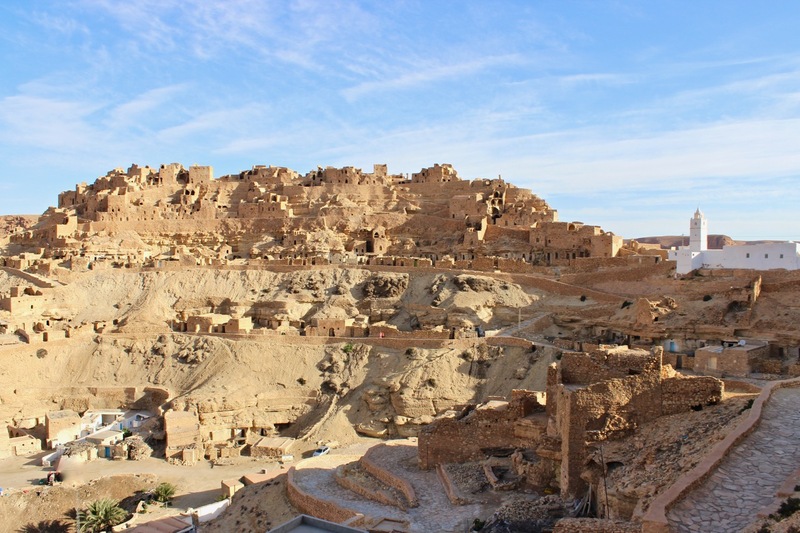 If you’re interested in having a deeper cultural experience, an amazing place to stay is the Berber village of Chenini in southern Tunisia. The Berbers are the original inhabitants of North Africa. Many of their customs and traditions have become a part of Tunisian culture. Chenini is one of several Berber hilltop villages where the homes were built hundreds of years ago by carving out cave-like homes into the rock. The small el-Kenza hotel in Chenini allows travelers to experience the village’s life and culture. The hotel’s rooms are built in the same cave-like style and the restaurant serves food that is typical for the region. The staff can arrange activities to help you discover the village and the surrounding region. Staying overnight in Chenini is an unforgettable experience that will leave you with a greater appreciation for Tunisia’s Berber heritage. The great thing about Tunisia is that there’s a wide variety of ways to see and experience the culture. You can choose your own level of interaction based on your interests. Whether it’s a short stroll in a medina or an overnight in a traditional village, the richness of Tunisia’s culture will be a memorable part of your tour. The warmth and friendliness of Tunisians is something that stands out to travelers just as much as the sites and experiences. In Tunisia, the history and culture are fascinating, and the Mediterranean and Sahara are beautiful. And what makes it even more personal and memorable is the hospitality Tunisians give each step of the way. 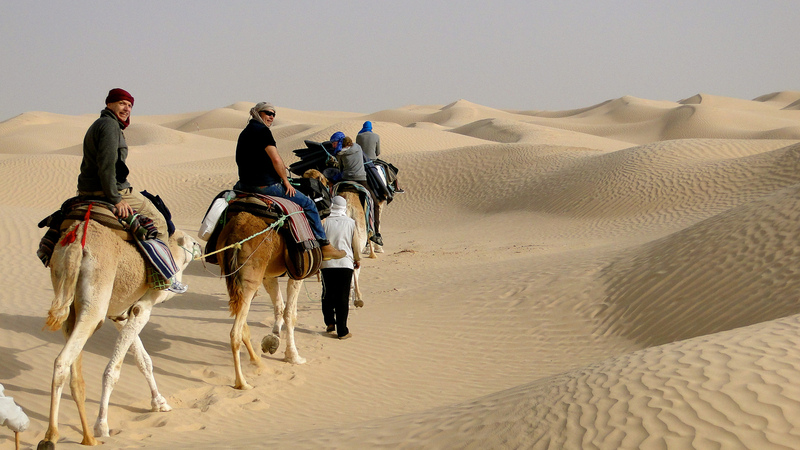 What would be your perfect blend of history, culture, sea, and Sahara on a Tunisia tour? Fill out our Build Your Tour form and let us know today! Looks so inviting. Hope to do another tour some day. Getting my friends psyched up as you read this! Great to hear you’re thinking of coming back to Tunisia for another tour! It’d be a pleasure to host you when you come!